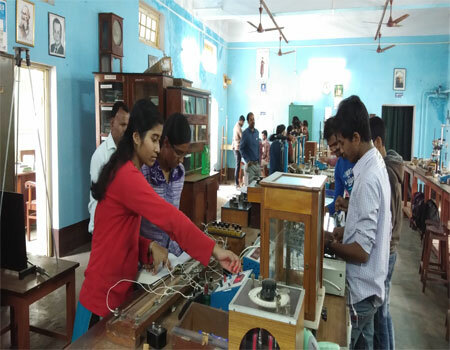 The College has fully equipped laboratories for students to do experiments as a part of their practical classes and for the teachers to conduct their research. The laboratory is equipped with High Resolution Bi-Prism Set up, Frequency Generator, Cathode Ray Oscilloscope, Thomson’s apparatus, Frank-Hertz Experimental Set up and a computer lab with 22 computers used for practical purpose of this department only. It is well equipped and has equipments like FT-IR Spectroscopy, UV Spectroscopy, Muffle Furnace, PH-Meter, Heating Mantle, Hot air Oven, Microscope, Digital Balance and Magnetic Stirrer. It has facilities and equipments such as Laminar flow, Autoclave, (tissue culture), compound microscopes, dissecting microscopes, centrifuge machine, vortex, calorimeter, pH-meter and micro-pipettes. The laboratory is equipped with Research Microscope with Photographic attachment, Thin Layer Chromatography, Gel Electrophorsesis, High Speed Centrifuge, Spin Win, Laminar Air flow, Environmental Chamber, Egg Incubator, Visible Spectrophotometer. This department has two laboratories well furnished with 38 computers, projectors and Wi-Fi connection along with necessary software. This laboratory is equipped with ECG facility, sphygmomanometer, Treadmill, Human Skeleton, Laminar-flow, Camera attached Microscope, Oxygen pulse meter, handgrip dynamometer, skinfold caliper, animal house and spirometer. The Geography laboratory is furnished with Theodolite, Dumpy Level, Autolevel, Jumbo Plotter & Scanner, Digital Balance, Prismatic Compass, Water and Soil testing facilities and Automatic Weather Monitoring System with GPS facility. This laboratory is equipped with CRO, Function Generator, High Temperature Muffle Furnace(1200degree C), Hot Air Oven( 300 Degree C.),Microprocessor Trainer Kit, AM Modulator/Demodulator Kit, Semiconductor Bandgap Measurement Set up, Spectrometer, Transistor Trainer Kit and Computer Lab with 6 computers and 3 laptops. 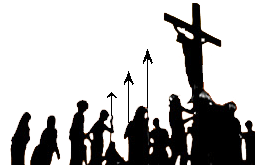 The department has been reintroduced recently. The practical classes for this department temporarily are being conducted in Mathematics department. The department has been reintroduced recently. The practical classes for this department temporarily are being conducted in Physiology department. The Physics department of the college has an Observatory with Dobsonian Reflecting Telescope provided by Orion Sky Quest. This high quality optical instrument is designed to bring the dazzling views of the outer reaches of our universe. This is easy to use and portable. 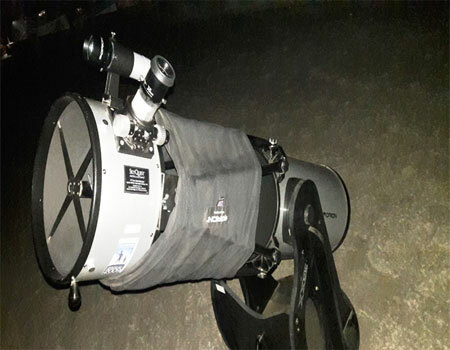 The students of the college and even local people use this telescope under the supervision of the teachers.